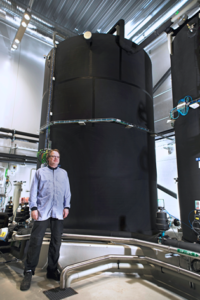 Karlstad, Sweden: – Bag-on-Valve (BoV) and saline products specialist Aurena Laboratories has announced it is now able to provide natural seawater in bulk to customers in the medical and cosmetic industries. Natural seawater has become a valuable ingredient in nasal sprays, ear sprays, throat sprays, face & body mists and other cosmetic and medical products. Like Aurena’s wide range of natural seawater-based nasal sprays and other final products, the bulk supplies are sourced from the company’s recently completed state-of-the-art seawater processing facility at Karlstad, Sweden. 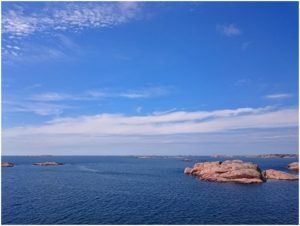 The 100% natural seawater is collected from the North Sea, using a collection site at Gullmar fjord on the west coast of Sweden, using intakes situated 32 meters below sea level where the water is very fresh and clean. Following initial filtration of the seawater at the Gullmar collection site, the water is transported to Aurena’s facility at Karlstad, where it undergoes a cold purification process consisting of multi-filtration in combination with UV-treatment. From Karlstad, Aurena can offer bulk natural seawater at natural salinity levels, including all minerals and trace elements. It can also apply enhanced treatment options for customers looking for specific salinity levels (e.g. for isotonic nasal sprays). These include desalinization of the seawater, meaning that 100% of the water remains naturally sourced or dilution of natural seawater with purified water to achieve desired salinity level. Shipment to customers can be handled in 1000 litre IBC’s or by using 1000 litre pre-sterilized single-use liners. 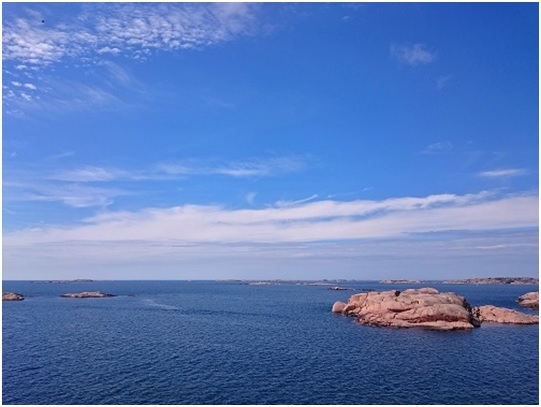 “As one of the leading manufacturers of natural seawater based products for the OTC-market Aurena has long experience of collecting and processing natural seawater for use as a raw material in our own medical device products,” commented Business Development Director Magnus Hedman. “Aurena’s portfolio of seawater nasal sprays that have become very popular in the market and we have now become a leading supplier in this field,” said Mr. Hedman. “The addition of the new sea water facility in Karlstad has given us large capabilities in handling and purification of natural seawater, it makes good sense to start offering purified seawater in bulk to our business-to-business customers who are manufacturing seawater based final products,” he added. Swedish-based Aurena Laboratories (Aurena) specializes in development and manufacturing of products using Bag-on-Valve packaging. Besides the contract manufacturing business, Aurena offers a range of products CE-marked as medical devices in Bag-on-Valve. The company is a leader in private label products and contract manufacturing of bag on valve aerosols for the pharmaceutical and medical device industry. Its product offers include private label seawater/saline-based nasal sprays, wound wash sprays, adhesive removers, emollient sprays, diabetic foot spray and burn gel. Aurena-manufactured products are also brought to market under store own-brands, or as contract-manufactured products. The company complements its internal resources with external expertise and capabilities, including clinical development, product development and commercialization. More information available at: www.aurenalabs.com. Click on Bulk natural seawater from Aurena for more information.